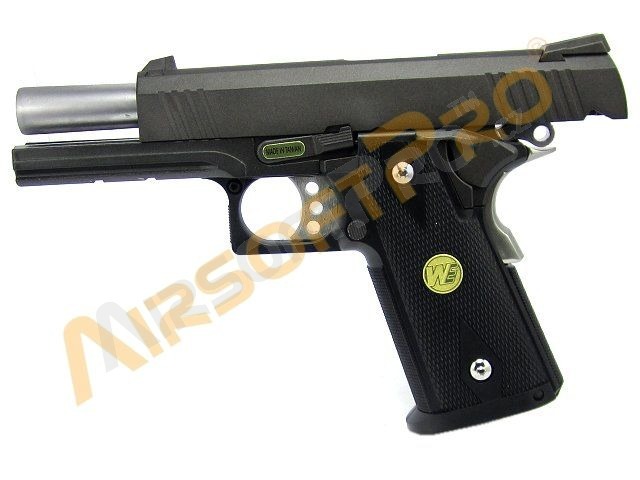 "HI-CAPA 4.3 is WE full metal pistol. Powered by CO2 capsules. 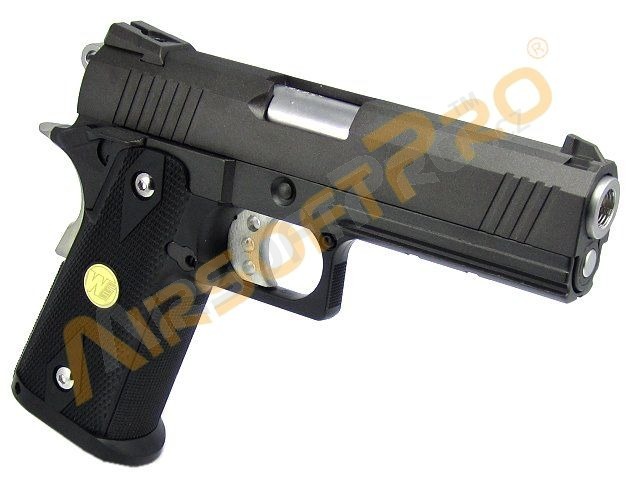 It has very strong blowback recoil. 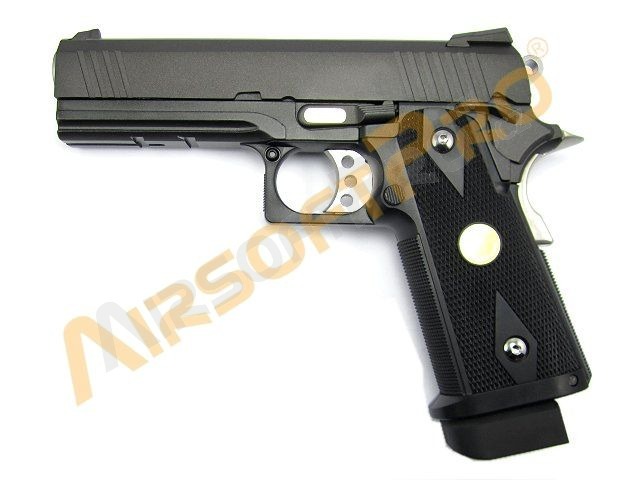 Gun has full metal construction. Extreme smooth slide cycling with clicks & clacks metal sound. 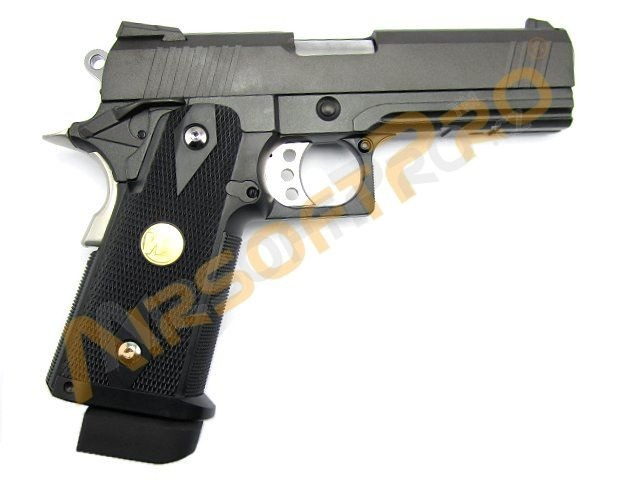 Innovative Hop-Up Thumb Dial located inside the gun (can see after dissemble the slide) . 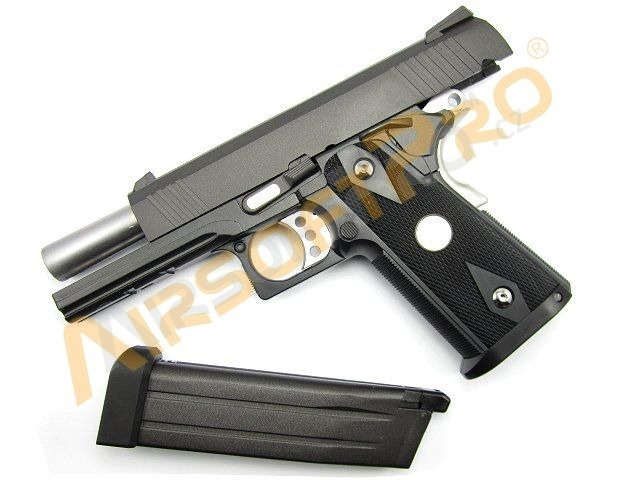 Excellent Craftsmanship with Textured grip and Solid Pistol Frame. 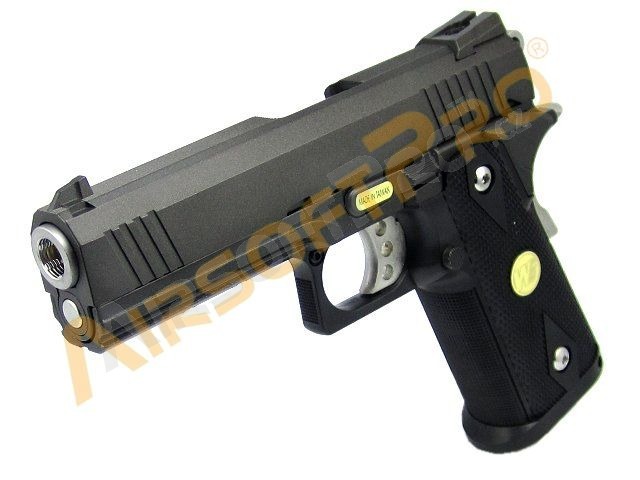 Equipped with 20mm lower rail for Flashlight or Laser Sight attachment . Suitable magazines for this pistol.